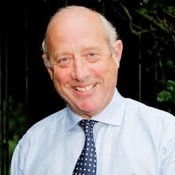 Godfrey Bloom began his City career in the investment department of Matthews Wrightson in 1967. His subsequent 35 years were extremely varied, probably impossible now in a very much more specialized and regulated city financial service environment. Roles enjoyed include award winning fund manager (cash and fixed interest), a top decile performance for a still unprecedented 14 quarters, general manager of a life assurance company and more latterly head of research for a ‘boutique’ West End investment practice. A founder member of UKIP and, until the recent European election, a UKIP MEP representing Yorkshire and North Lincolnshire since 2004, Godfrey continues to support the Party despite his well-publicised difficulties with Nigel Farage. Past experience includes the EU Internal Consumer Affairs Committee and more recently co-ordinator of the Europe of Freedom and Democracy Group on the Economic and Monetary Affairs Committee and Women’s Rights and Gender Equality Committee. He was also a substitute member of the Environment Committee. In 2006 he gave a very prescient paper to the National Defence University of Washington on procurement forewarning of the crisis to come. A keen military historian, Godfrey served 30 years with the Territorial Army, initially with the County of London Yeomanry and holds the Territorial Decoration and bar. His hobbies include rugby (non playing now! ), cricket, hunting and shooting (when invited).